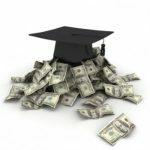 I recently ran across an article about a woman with over $500, 000 in student loan debt. While I’m amazed at the sheer amount of debt she is in, I know that’s she’s not the only person struggling with student loans. This is especially true for those who have been laid off or otherwise had their income diminished. I’ve taken out student loans to support my education in the past and, like some, I wasn’t responsible with all that I borrowed. While I blew some of the cash, however, I soon realized that I needed to pay it all back. I got serious, created a spreadsheet, and got back on budget so I can pay back what I owe. Managing your student loan payments depends on several factors, with your lender being the biggest one. 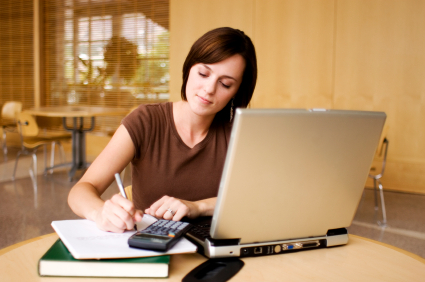 With federal student loans, you can usually find a workable solution to get you get back on your feet. Private loans can be a bit harder to negotiate, but it’s still possible. Either way, you have to come prepared with numbers. Before calling your lender, organize a budget and have a ballpark figure of what you can afford to pay right now. If the customer service representative doesn’t give you a practical number, speak up and tell them what you can afford. When trying to improve your situation, there are several options you may wish to pursue in hopes of getting back on top of your debt. Choose a repayment plan that better fits your situation. You may be able to switch to a graduated payment plan with lower initial payments that gradually increase over the term of the loan. You’ll pay more in interest in the long run, but it may be worth it. Alternatively, if your current income has decreased, an income-based payment plan may be a beneficial option. If you have a Federal loan, you can change your payment plan by logging on at Federal Direct Loans. Apply for a deferment to buy yourself some time. A loan deferment allows excuses you from making payments on your student loan for a set period of time. I’ve had friends use this option as they were job hunting and they resumed payments once they found employment. You can also defer loans when you return to school. Apply for a forbearance. With a loan forbearance, you may be able to make reduced payments for a limited time, or stop making payment altogether (though interest will continue to accrue). With Federal loans, you can get more information about deferments and forbearances by calling Federal Direct Loans at 800-848-0979. For private loans, contact your lender to inquire about your options. Consolidate your student loans. 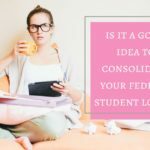 If you’re looking for a long-term plan to reduce your student loan payments, loan consolidation may be right for you. Depending on your interest rate, you may be able to consolidate your loans, reduce your interest payment, and have only one monthly payment to make. For private loans, check with your lender to see if there is a minimum amount to consolidate. 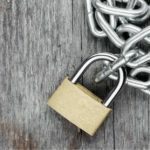 If you have a mix of Federal and private student loans, you should keep your Federal loans separate as they tent to have very competitive rates. Have you ever had to adjust your student loan payments or otherwise modify your loan agreement in order to make ends meet? If so, please share any tips, tricks, or experiences in the comments section. 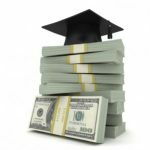 Graduate School Loans – Should You Avoid Education Debt? I was able to consolidate a couple of my student loans about 10 years ago to a 1.80 interest rate. I’m not sure you can get such a low rate in today’s market or not. I got an offer in the mail and it turned out to be legit. I’ve done income-based repayment on my federal loans twice when it became hard to make ends meet. For my private loans, I did have to take one six-month forbearance because I was unemployed, and then did a modified payment plan for 2 years, where I paid half the original amount for six months, then 75% for six months, and last one year of interest only payments. I’m now at my full payment amount and have never missed a payment. My advice? Don’t wait until you literally have no money coming in to call. If you lose your job, even if you have enough to make a few months worth of payments, call immediately. Let them know the situation and start working with them then. I called my private loan processor about going on a modified plan before I went off of forbearance, and before I’d even started my job, because I already knew I wouldn’t be able to make the full payments. The transition was seamless and I had no problems. BTW, while I’m certainly sympathetic to the woman’s problems in the article, my boyfriend and I are in the same boat. Combined with have around $485k in loan debt, and pay close to $3k/month on it right now. 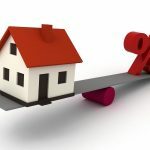 There is simply no excuse not to talk to your lender, because I genuinely believe that she could have avoided a lot of the situation that she’s in right now. @Bryan: Thanks for sharing the information on employment deferment. Thanks for all the feedback! I know some people are genuinely interested in paying back on their loans, but need a break until they get their finances in order. I used forbearance with my stafford loans a few years ago. They still charged interest and added back to the principal what I could not pay at the time. Right now I am locked into 3.125% interest for the next 10 years. I owe ~$7200 right now, but that will be the last thing I pay ahead on because it has a low interest rate and auto-payment so virtually no maintenance other than keeping a few dollars in my checking account. Forbearance isn’t free. I learned that a few years back when I had to forbear my payments. One of my private lenders made me pay a $150 every 6 months, and that was on top of the interest continuing to accrue of course. But, if you’re short on cash, and think you’ll have more in the future, it’s not a bad option. My Stafford loans come with a tiered repayment option. For the first several months, I make payments that are slightly greater than interest, and then they get bumped up in amounts. I’ve been unemployed since graduating in May. Deferment is the only reason I’m not completely broke. Once the grace period on my subsidized federal loan ran out I got it on the unemployment deferment, which is actually a new option that just become available within the past year or two due to the economy. This deferment is good for up to 3 years in 6 months increments so every 6 months you have to reapply. Previously I would have had to try for the economic hardship, which is more complicated to justify. Between that and my Perkins loan whose grace period is ending the same month my deferment ends I’m looking at about 27K. Thankfully I did just land a job and will be starting next month. Now the plan is to pay as much of a lump sum as I can on the highest interest balance once it comes out of deferment. Then consolidate the 2 loans to keep down the number of payments and hopefully be able to afford extra payments each month. Also, I plan to sign up for the electronic debit option which reduces your rate 0.25% in exchange for automatically withdrawing your payment from your account every month. I would suggest that people be careful about taking deferments. If you have unsubsidized loans, the interest accrues during the deferment and gets added to the principal balance. We were able to consolidate my wife’s loans a few years back. We took advantage of an interest only payment option for 2 years to help make ends meet. We were able to take advantage of an automatic payment option and saw our interest rate reduced 1%, it is now 3.25%. The only other thing we are doing is taking advantage of the UPromise credit card. Instead of cash back rewards, the 1% reward is automatically applied to the loan balance every quarter. So far, we’ve paid an additional $700 off the loan. My wife wasn’t as bad as $500K, but she did have about $20k. I think it will be gone in about 8 more years.